A VT-shaped First Year Experience (FYE) at Virginia Tech serves as an opportunity for transitioning students to learn skills necessary to be successful. FYE offers multiple courses, each housed in a different academic unit and each uniquely consistent with the strategic direction, mission, and culture of that unit. The courses are anchored by four foundational cornerstones: academic transition, holistic education, integrity, and community. The initiative’s cornerstones support recruitment and retention efforts across the undergraduate degree granting colleges. The five following FYE essential practices demonstrate meaningful integration of practice to support a VT-shaped learning experience that demonstrates these cornerstones. FYE courses should demonstrate intentional course design and high-impact learning experiences that will support the development and success of first-year students. Specifically, creating high quality, foundational experiential learning that will set first-year students on the path for deeper engagement in Undergraduate Research, Internships and Capstone Projects. FYE courses will also be led by professionals who facilitate a VT-shaped learning experience through implementing contemporary, student-centered curricula, and who participate in a teaching and learning community of practice that reaches beyond disciplinary boundaries and is grounded in inclusive pedagogy. FYE courses should demonstrate diverse ways of reinforcing an engaged campus through connecting students to social and cultural enrichment opportunities, inclusive of the Virginia Tech Principles of Community. 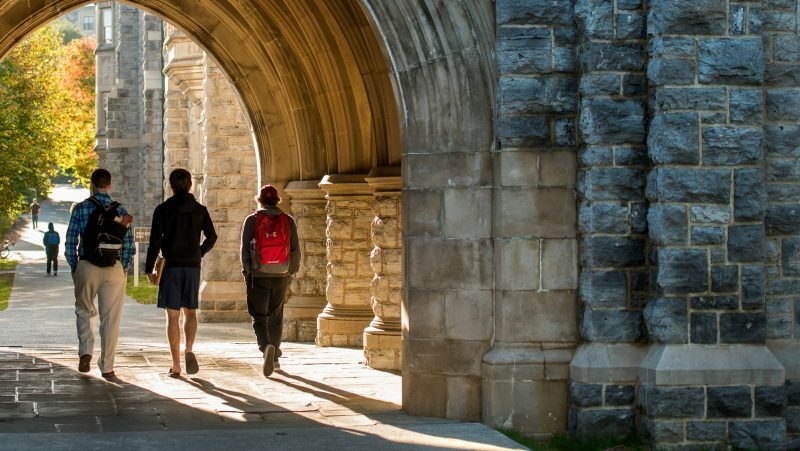 Preparing students to navigate campus through active participation building a “Hokie” identity, FYE helps students acquire the skills needed to adapt and persevere during and beyond the first year. Faculty teaching first-year courses should be adept at mentoring a diverse population of first-year students to empower them to develop and revise their academic plan; identify and access mentors and advisors; and learn about career options and begin building personal and professional identities. FYE courses should create connections with University Libraries to enhance students’ ability to discover, create, reflect, evaluate and communicate knowledge. These connections may include collaborative assignment design and assessment, collaborative teaching teams and use of library space for creation of experiential learning opportunities. These collaborations should demonstrate student’s digital & information literacies within the creation and scholarship competency area and one other area of focus which includes: reflective discovery; critical evaluation; ethics, communication & collaboration; identity & self-development and technological literacy. FYE courses should support student’s understanding and ability to adhere to the principles of academic integrity when using and/or creating information in accordance with the Virginia Tech Honor Code and professional norms of their field. This ethical behavior may include giving credit to the work of others, following established academic policies, and beginning to navigate disciplinary standards for research. The FYE website is currently being updated. Check back at the start of the Fall 2019 semester for more information!